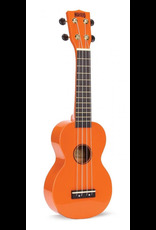 Mahalo Rainbow Series ukuleles feature geared machine heads to keep you in tune longer and Graph Tech NuBone XB bridge saddles to increase projection and bass response. Aquila Super Nylgut strings are fitted to produce a fuller, louder and more balanced sound. Complete with carry bag, the Mahalo Rainbow Series represents outstanding value for money.